Happy Holidays! Happy Hanukkah! Happy Kwanzaa! In my home, both growing up and now as a father and husband, my family celebrates Christmas; so, Merry Christmas! No matter your background, traditions, or world-view, the one thing I think we can all agree upon, is this time of year often invokes the best in us, and when it comes to lending a hand to those in need, thoughts give way to action. And, if you’ll indulge me for the next few minutes, I’d like to share a little bit about my dad—and the life lessons he taught me about what it truly means to “give”, especially during the holiday season. Quite literally, I could share hundreds of stories, but I’ve selected just a few that occurred during the month of December, over the course of my childhood. I remember vividly the first time I witnessed my dad do something extraordinary for somebody else. I was six years old, and we were living just outside of Phoenix at the time. It was mid-December; so naturally, we were headed to the grocery store to pick up some items for a barbecue later that day. As we were walking toward the entrance, me holding tight to one of my precious Ninja Turtles and trailing behind him, trying to match the cadence of his stride, he came to a stop, and I went crashing into the back of his legs, while Leonardo went cartwheeling through the air. As I stood there trying to figure out what just happened, I peeked around him and saw a young mother with three little boys feebly holding a piece of cardboard, presumably with a humble plea for kindness written on it. My dad knelt down, said something indistinguishable to my ears, and within a few seconds, we were all headed into the grocery store—me, with three new friends and what I would later realize, the first of a lifetime of memories, unfolding before my curious brown eyes. My dad and I walked from aisle to aisle with that young family, as they cautiously filled their cart with two weeks’ worth of groceries; all the while my dad encouraged them to “get whatever you need”. Just before it was time to go wait in line, my dad discreetly handed the young mother enough money to cover the bill, low-fived her boys, and ensured she had a way to transport everything home. He looked down at me, grabbed my hand, and we went to get the few items we originally came for. I didn’t understand it at the time, but that was the moment my dad began to actively sow the seeds of generosity into my life. Fast forward a few years later, my family was living in Greece (dad’s career led us to some pretty neat places). One day, my dad approached a man he identified as an American and asked him what his name was. Samuel, as I’d come to find out, was a Vietnam veteran with olive skin and wild hair. He was a nomad who had made his way to our particular island, rode his bicycle everywhere, lived in a tent, worked odd-jobs, and had an uncanny ability to make art out of random objects he pieced together. As the weeks went by, Samuel became a repeat guest in our home, often at dinner-time, and always on time. We learned that Samuel had a son he had become estranged from and a couple grandkids he had yet to meet. As the Christmas season inched closer, my dad was able to convince our new friend to use our phone to call his son and attempt to restore the relationship he had with him. It must have been easier than Samuel thought it would be, because a week later, we were dropping him off at the airport—Samuel was bound for Washington state, where he was to be reunited with his son and kiss his grandkids for the first time. He left us Christmas gifts he fashioned and whittled out of driftwood, but as dad tells it, the greatest gift arrived in the mail a couple months later. It was a letter from Samuel’s son, John. In it, he described how Samuel had shared with him about how my family had “adopted” him and convinced him to repair the fractured relationship with his own family. There were also two pictures contained in that letter. The first was a group photo, of Samuel with his two grandsons, balancing one on each knee. And the second, of a newly minted final resting place, adorned with flowers. Unbeknownst to us, Samuel was fighting a losing a battle to Hodgkins-Lymphoma. In his letter, John thanked my dad for encouraging Samuel to return home and restore their relationship. I didn’t understand it at the time, but my dad was actively sowing the seeds of peacemaker into my life. The final story I’d like to share, is one which took place in a rough part of St. Louis, around the time I had an unforgiving 6th grade crush on the owner of this blog. Every other Friday night, my dad would take me and my younger brother into St. Louis to assist in handing out hot meals, and because it was December, Christmas cookies, to those who otherwise would probably go to bed hungry that night. It was beginning to get dark out and I was freezing my backside off, complaining, and ready to go home and play Super Nintendo. As we were getting ready to leave, a middle-aged man approached us. After talking with the man, my dad found out that he not only needed a meal (we were all out), but he had a job interview the next day. We took our new friend to the store, purchased him a collared shirt, stopped at a restaurant for a quick bite to eat, and dropped him off at a hotel for a night’s stay, so he could shower and sleep peacefully before my dad arrived to drive him to his big interview the next day. I didn’t realize it at the time, but my dad was actively sowing the seeds of selflessness into my life. It’s been almost 25 years to the day that dad and I walked into that grocery store, and I find myself married to the love of my life, (I finally got over that 6th grade crush, by the way) and I am trying to raise three children, the best way I know how. And here in Miami, you don’t have to look very hard to find those who could use a helping hand. Last Christmas, I figured my daughter Emree was old enough to begin conceptualizing and understanding the same lessons I was deliberately exposed to at her age. So, of course, we sought out a young mother through a charitable organization, whose Christmas wish was to be able to prepare a nice meal for her children. As Emree and I trailed behind them in the grocery store, the young mother filled her grocery cart with vegetables, eggs, and milk while I entertained a conversation with Emree. I thought to myself in that moment, “Wow, that didn’t take long. She gets it." While these memories I have shared revolve around the “most wonderful time of the year”, the opportunities to teach our children impactful life lessons about generosity, peacemaking, and selflessness are all around us, 365 days a year. As we deliberately teach our children to be good citizens, I’m certain you will see, just as I did, they personify the myth of Santa—always watching, taking their cues as to whether we are naughty or nice. As for my dad, he’s still out there trying to make a difference in his corner of the world; giving more than he takes. He’d probably be embarrassed that I shared so much about him, but I’m proud of him and how he and my mom raised us. And as a parent, that’s got to feel pretty good knowing you gave it your best shot. Whatever it is that you celebrate this time of the year, I hope are able to share the spirit of the season within your respective communities; Merry Christmas. 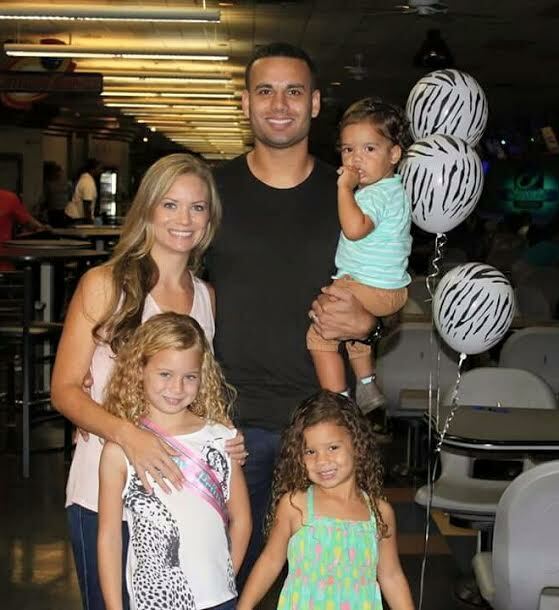 Josh and his wife Bethany live in Miami, FL and are the proud parents to Emree, Braelyn, and Maverick. Fueled by Cuban Coffee and the primal need to beat rush hour traffic, Josh helps conduct research and analysis and prepares communications strategies, as needed by members of Congress, the Department of Defense, and U.S. partner nations throughout Latin America and the Caribbean. These lessons are a reminder everyone needs to read. Nice article. They really are. If only we all lived with these "seeds of humanity" in our daily lives. I am a dad. hope my kids have things like this to say about me someday. Know its up to me to set that example. It's reassuring to know that even the smallest acts of kindness we do for others leaves a positive impact on our kids. There are angels among us. Bless u and ur kids and dad. Cheers to this dad. Keep walking in your dads footsteps. Your kids are watching. If only we all did this. Think how amazingly kind future generations would be and how absolutely beautiful our world would be.